Well, okay not really. 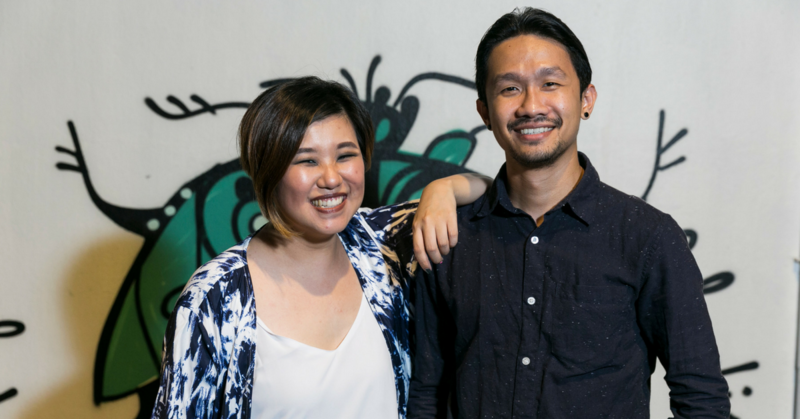 But after one too many gin and tonics, fellow entrepreneurs and drinking kakis Ee-lyn Tan and Vimal Kumar came up with the idea one night when they were talking about their ideal business. The pair had always wanted to open a bar with a twist of some sort, and they knew that the concept has already been done in many countries—including the USA, UK and Thailand. It was then that Ee-Lyn and Vimal met Britney, and the wheels of their dream began turning towards reality. Britney is the name of their cocktail truck—converted from a food truck that sold coffee to office workers. “So if anyone asked, we could say It’s Britney, b***h,” said Ee-Lyn. It was a serendipitous meeting that united the three. Their initial idea was to find and convert a Volkswagen Combi, but the difficult modifications and high price point put a halt to those dreams. So Plan B was to find a truck that stood out with a personality of its own, which is when they came across Britney. So the pair spent just slightly below a 6 digit figure to purchase, modify and get the business up and running within Britney’s curvaceous body. They even hired a bar consultant to design the interior of the truck to mirror an actual bar counter. This is on top of adding deep ice bins, garnish pans and a serving shelf. “Both of us have experience starting and growing businesses so this new challenge was very exciting for us to be able to turn our passion for cocktails into an actual business,” said Ee-Lyn. Finding the right bartender was always important to the pair, and their search led them to their head bartender, Pidot Fey. While Vimal always had an interest in creating cocktails, neither of them had any idea about mixology or bartending. So they took a class in preparation for KL Scenarium‘s launch. “We will never again complain why it takes so long for cocktails to be made because there are so many elements to it. We have found a whole new appreciation for the art of making a good cocktail,” joked Ee-Lyn. Finding Pidot was “the missing piece to the puzzle” for KL Scenarium. Pidot eventually helped the pair develop a menu that fit all of their tastes, as he did his own research in his spare time about the craft of mixology. This includes local flavours that the founders always intended to incorporate into the business, like lemongrass and Gula Melaka. 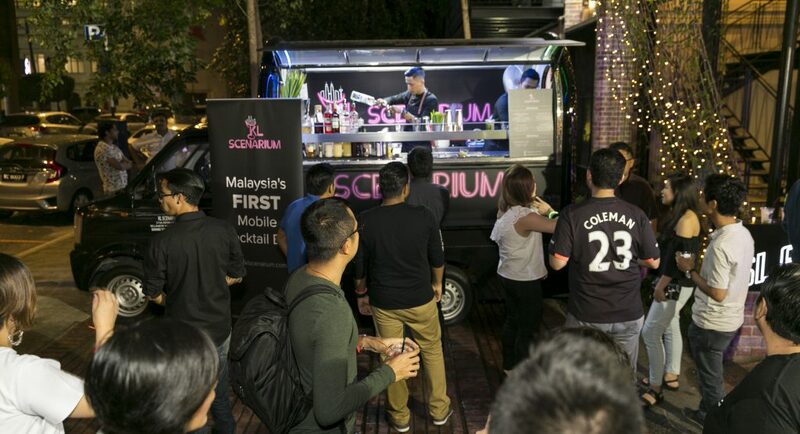 So with an 18-foot food truck, an in-house bartender and a menu that incorporates bar favourites, their own little spin on locally-flavoured cocktails, and a few nibbles to much on with your drinks, KL Scenarium is ready to roll out. Of course, they’re not just going around the KL streets peddling booze to passerbys. Instead, their market preposition is this—catering cocktails for events. “The task for us is mainly educating our clients on how KL Scenarium operates. We have been receiving lots of queries after our launch on where would we be parked tomorrow, or what are our opening hours like,” said Vimal with a laugh. 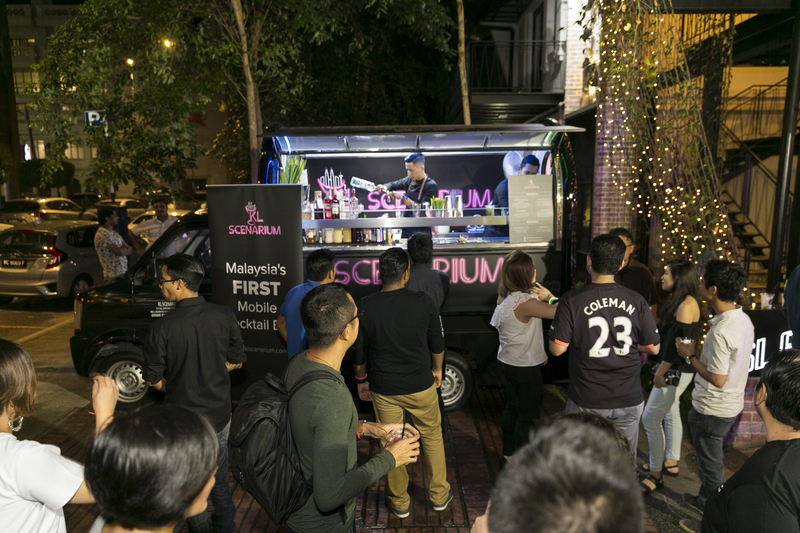 They feel like the KL Scenarium truck will be a welcome addition to the bustling event scene in KL, what with all the weddings, birthdays, parties, corporate events and so much more that may use their services. 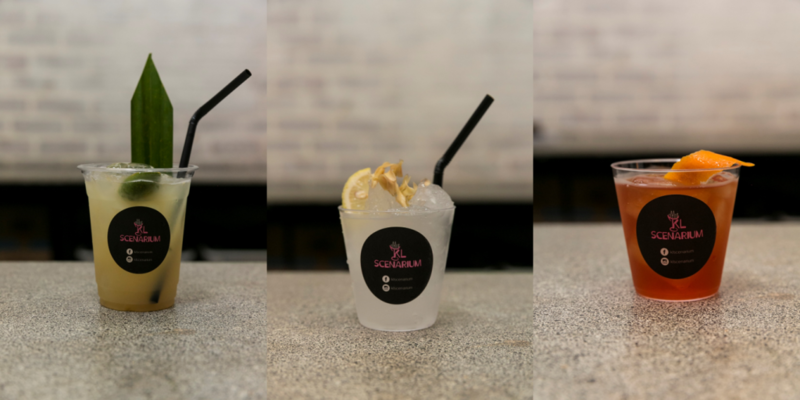 Today, KL Scenarium’s services are available in Klang Valley with cocktail packages that start at RM3,500 for 100 servings. Setting up a modular bar inside the venue with a mixologist on site. Bottled signature cocktails in 175ml bottles, delivered to the venue, for clients with smaller budgets. Since their launch earlier this month, KL Scenarium has been getting lots of enquiries and and confirmed packages. In fact, the pair sees themselves breaking even within 12 months of operations. We wondered if they’ll be buying a Madonna to accompany poor lonely Britney and Ee-Lyn confirmed that they aim to have several trucks in their garage. This way, they can be at two or more events at the same time. They’ve also decided that each truck will look different, so they’re happy to let fate lead them to their next truck, along with the right pop superstar to name it after. “We are also looking to expand to a few other cities within Malaysia as well as within the region. It would be great to have a Penang Scenarium and a Bangkok Scenarium with Thai based ingredients in our drinks,” said Vimal. 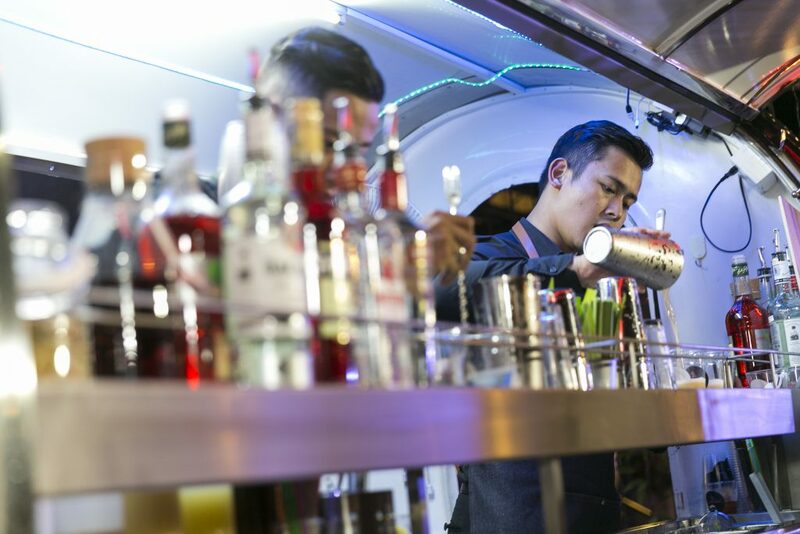 They close off by stating that on top of their classic signature and themed bespoke cocktails offered to clients, KL Scenarium also “provides add-ons to really spice up the party”—Tequila Shots, Jaeger Bombs, Watermelon Tequila Shooter and Flaming Lamborghini.